A day before Father’s Day, I surprised Mr. GJG & asked him on a date. Mr. GJG: Where are are we off to?! ME: We’re lunching at La Fiesta at SM By The Bay. Mr. GJG: Okay, I’m not eating anything for breakfast then. La Fiesta is part of the 1.5 KM entertainment complex of SM by the Bay. 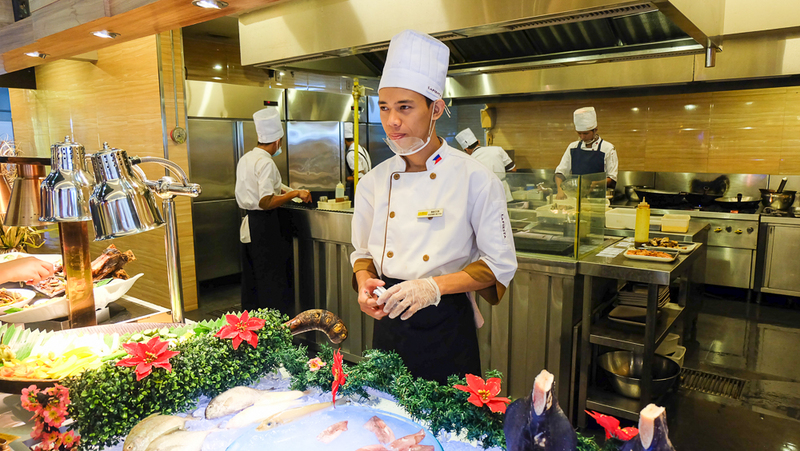 There’s tons of activities for the family and the stretch has a wide range of dinning options in the metro- mostly buffet restaurants. It really showcases a unique park experience with a breathtaking view of the famous Manila Bay sunset. We parked almost at the farthest end of SM by the Bay so we took the liberty of a leisurely walk going to La Fiesta. The premier lifestyle and leisure hub is open from 6 AM to 2 AM. It has a handful of amusement rides open at 2 PM on weekends and 4 PM on weekdays, while the restaurants are open from 11 AM. The MOA Eye is one of the famous attractions at SM by the Bay. 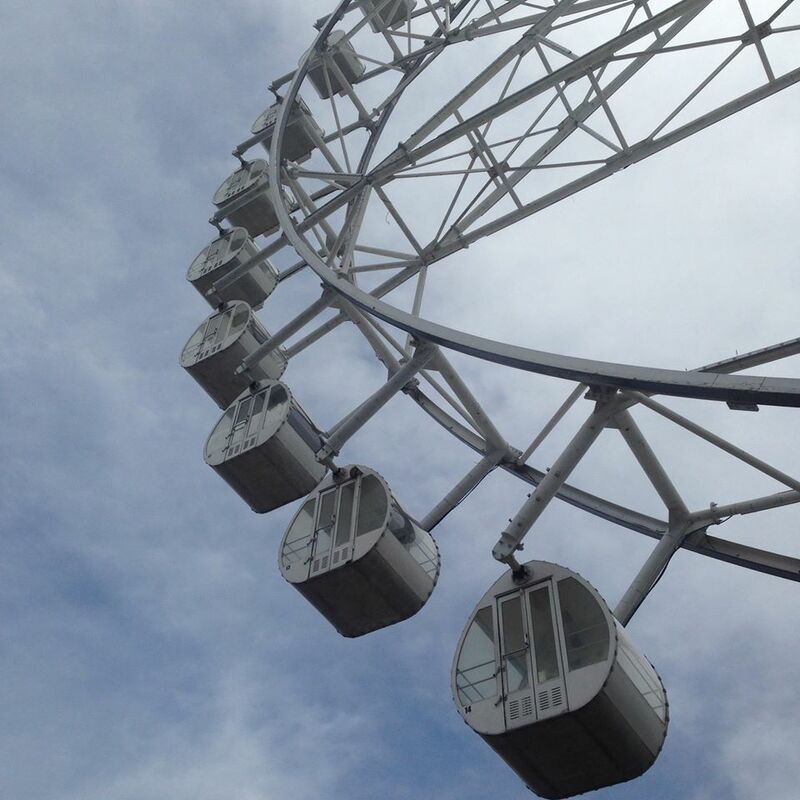 It’s one of the tallest and biggest ferris wheel in the country and it gives you a 360-degree view of Pasay City. After taking this shot, I was just a few steps away from La Fiesta. 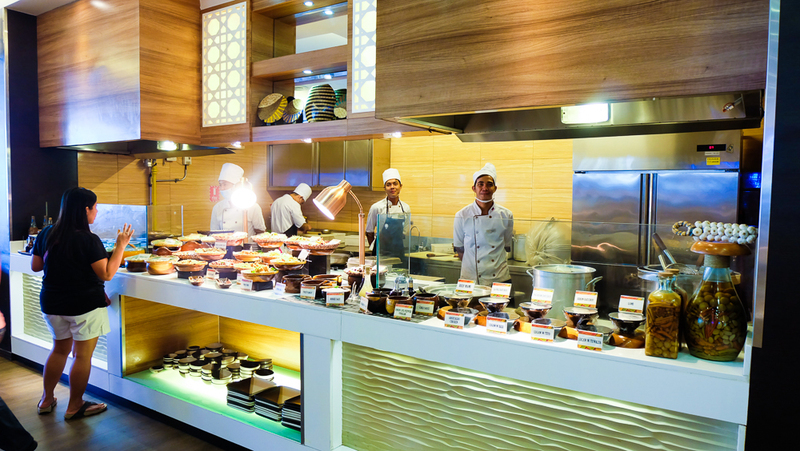 I couldn’t contain my excitement to see the selections as it was our first time dinning here. La Fiesta can fill up 500 persons. 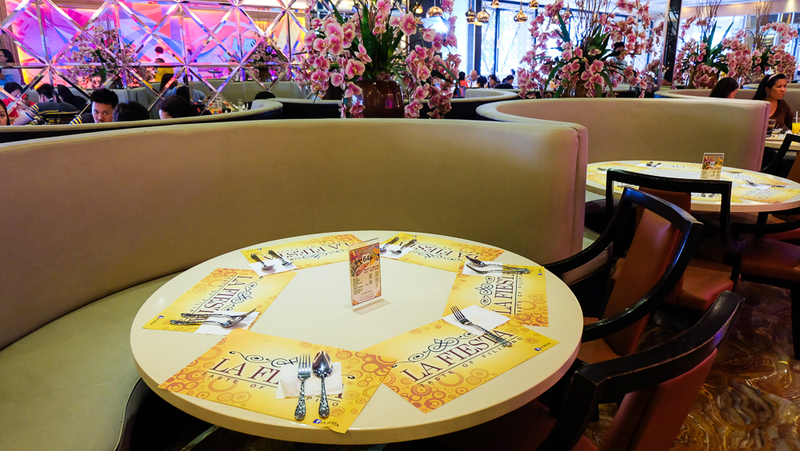 You can opt to be seated at a booth or a long table. The interior is as festive and as colourful as each station. 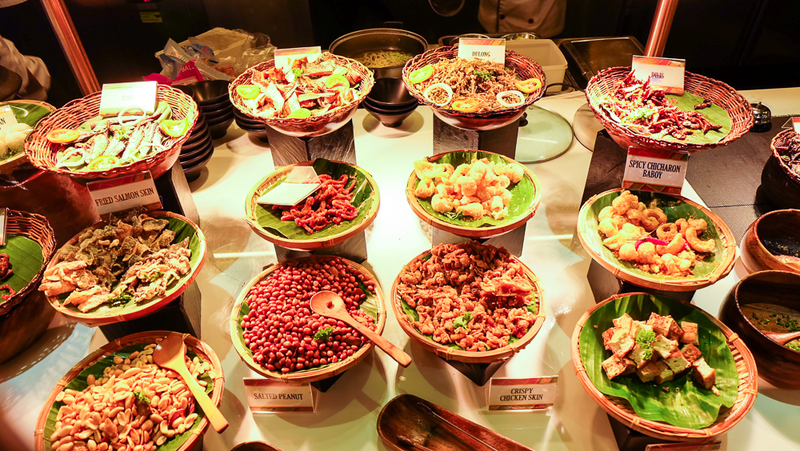 It used to offer all-Filipino food but now, they have International food to cater to a wider market. 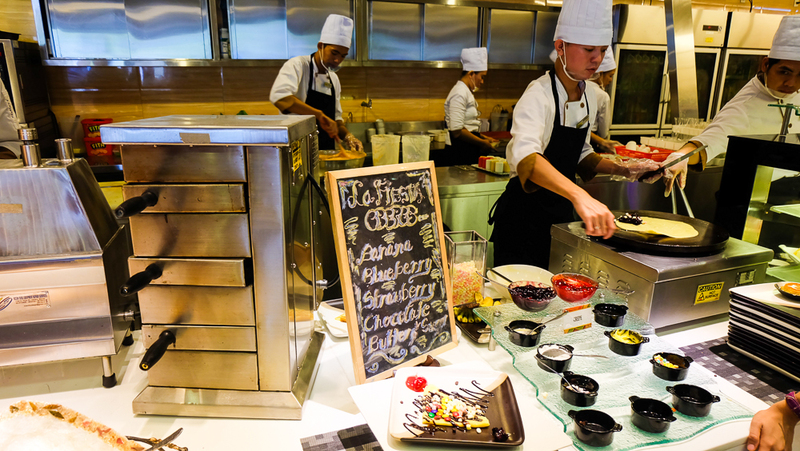 Touring the stations and seeing all the food there is, I was already full! NKKLK. 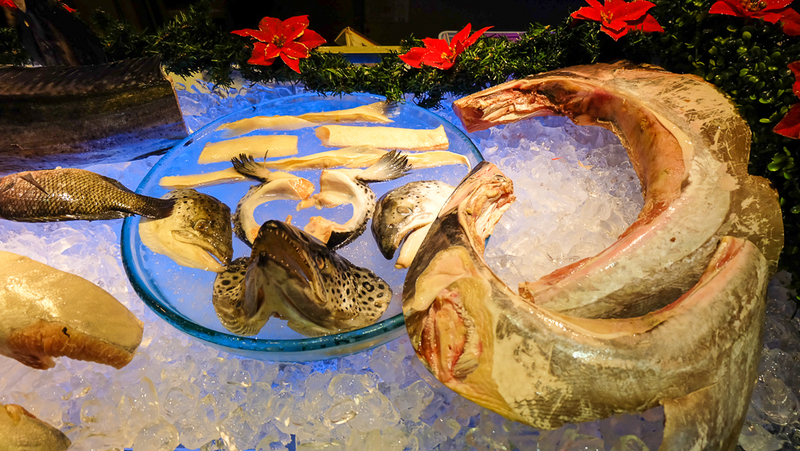 Fresh seafood awaits at the grilling station. 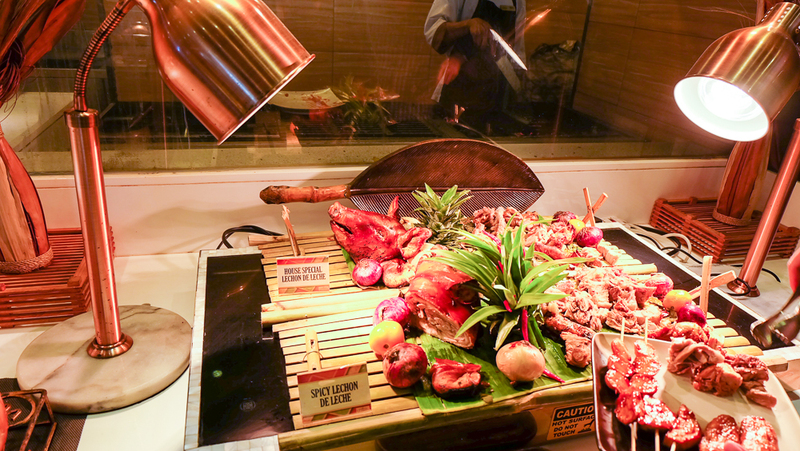 The crowd favorite is the lechon station. Obviously, I came a tad bit late and wasn’t able to take a good photo. But don’t worry, they refill as soon as they’re swiped off! Chinese food anyone? Of course Mr. GJG didn’t pass on this station. 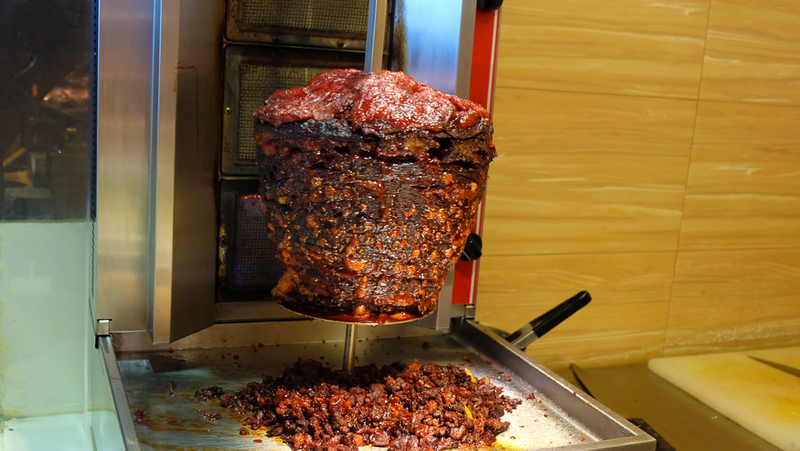 There’s also a shawarma station. 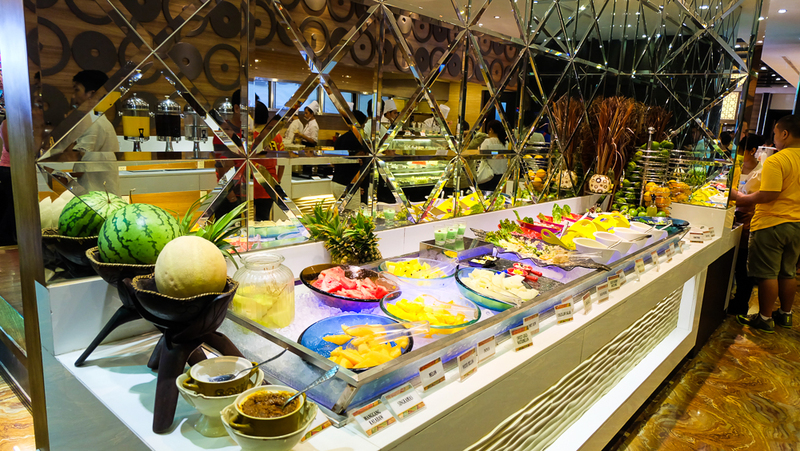 Salad & fresh fruits station. 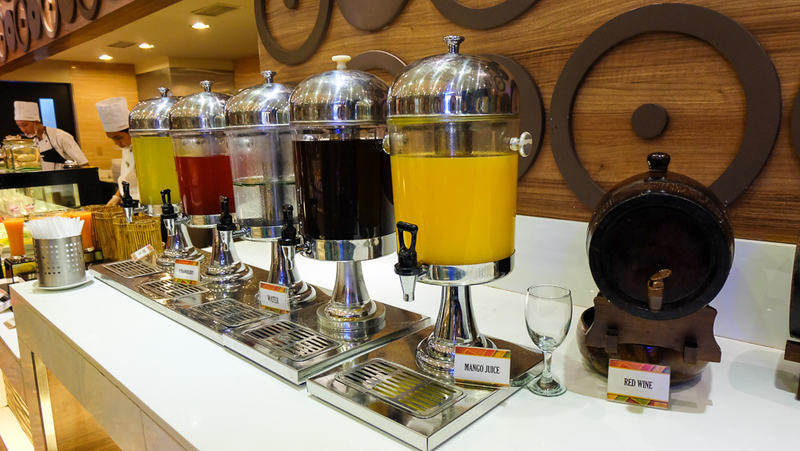 Apart from juices, fresh fruit shakes, soft drinks, they also have draft beer and red wine. All unlimited of course! Pre-Father’s Day celebration, La Fiesta was packed! 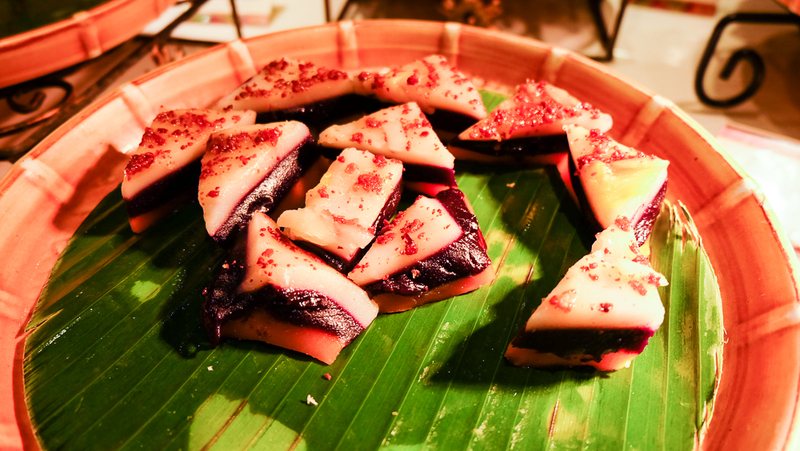 Filipino desserts such as sapin-sapin, turon, banana cue, and other local favourites. Yum! 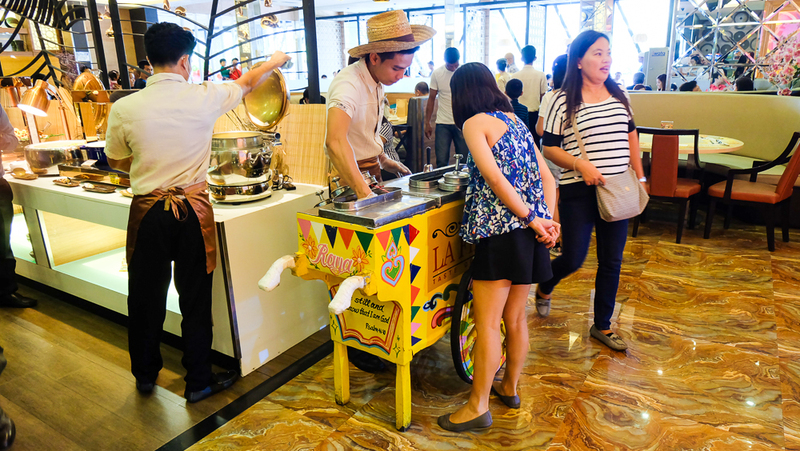 And there’s also a dirty ice cream cart roaming around La Fiesta! 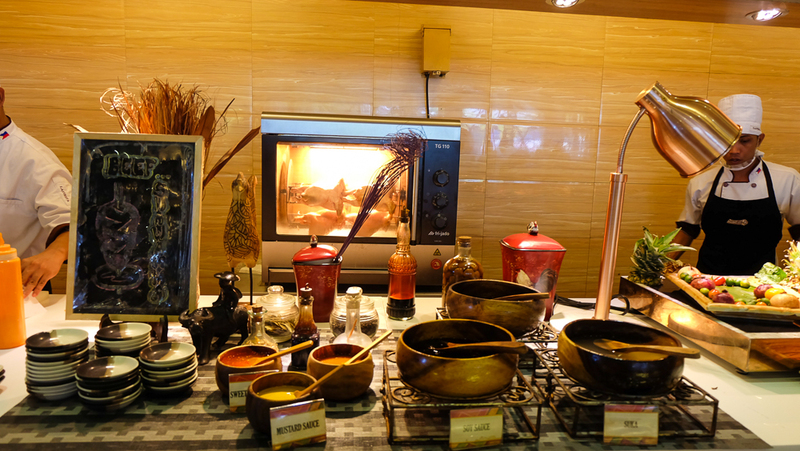 I wish they also have a taho station. 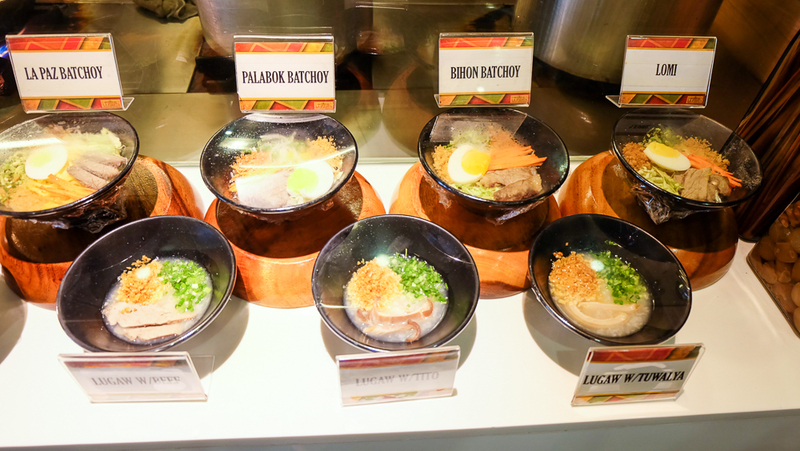 Different kinds of Pinoy noodles & porridge aka lugaw. I recommend you try the La Paz Batchoy. 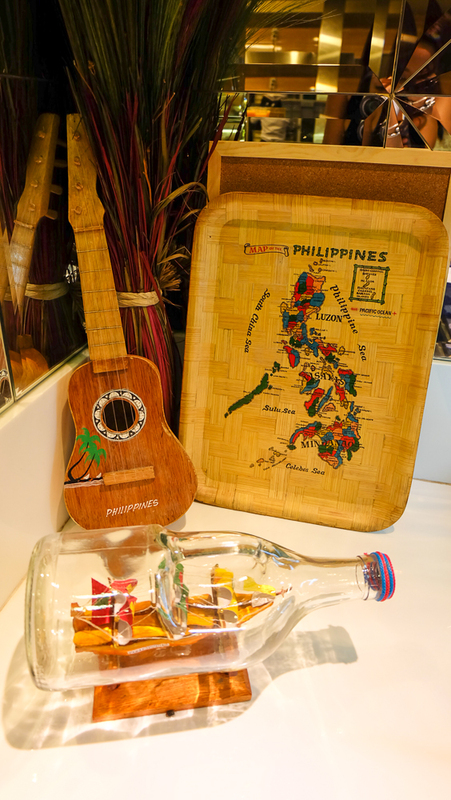 Perfect for the rainy season. 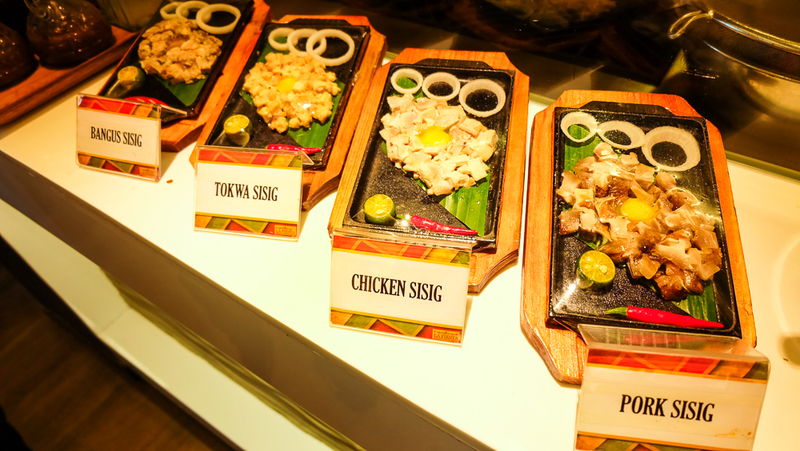 Another crowd favorite from the street food station. 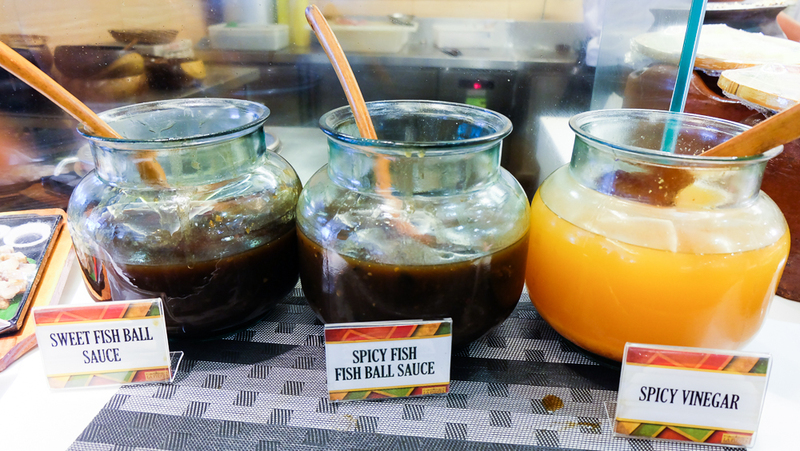 No need to go to the streets to get your fish ball fix. It comes with its respective sauces of course. 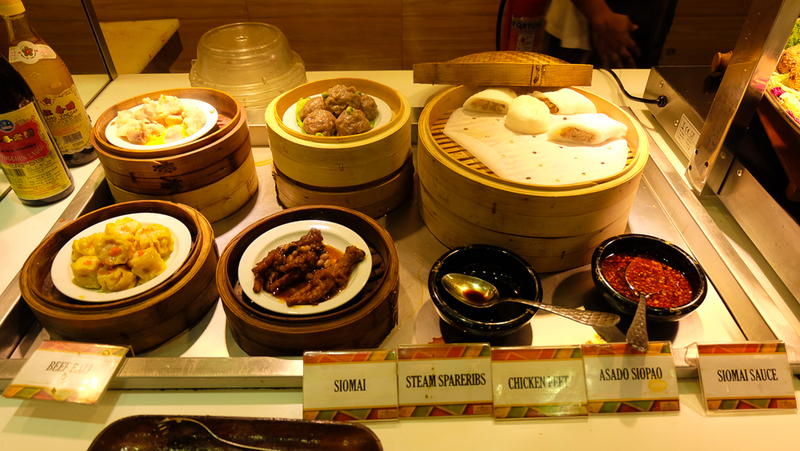 They also serve balut and kwek-kwek, just ask the friendly chefs as these aren’t displayed kasi. 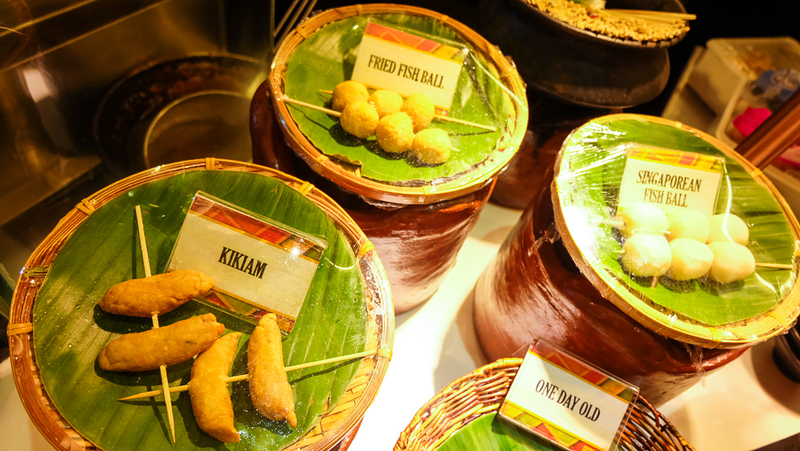 More Pinoy nibbles! From chicken skin, to peanut to my favorite chicaron! Live performer serenaded us as we were seated in front of the stage. 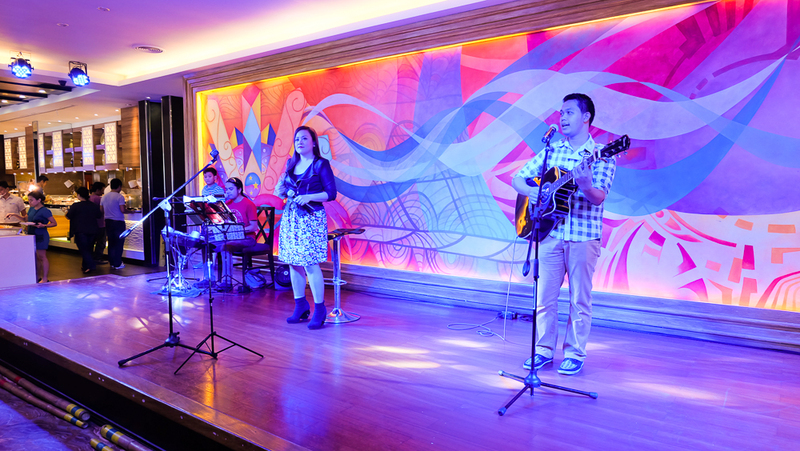 Also, they take requests and if you’re celebrating a special occasion, you can even sing along with them. Ay lavett! I love eating! Obviously, this is just round 1 for Mr. GJG & I. 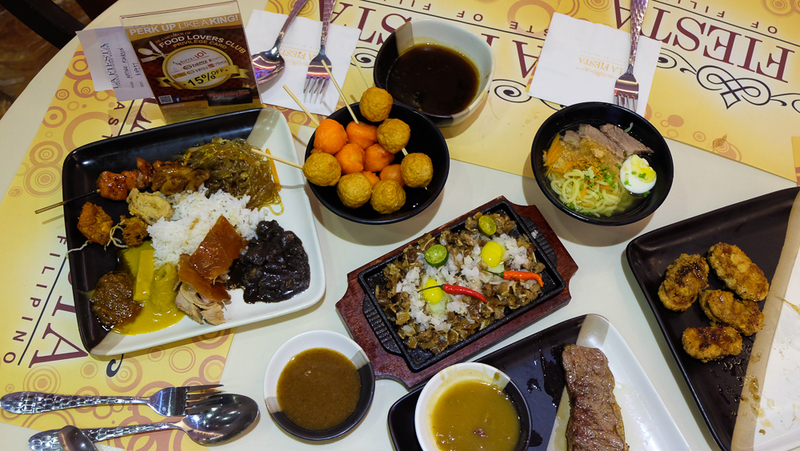 Seriously, how can one resist Filipino food? Masarap kasi talaga e! 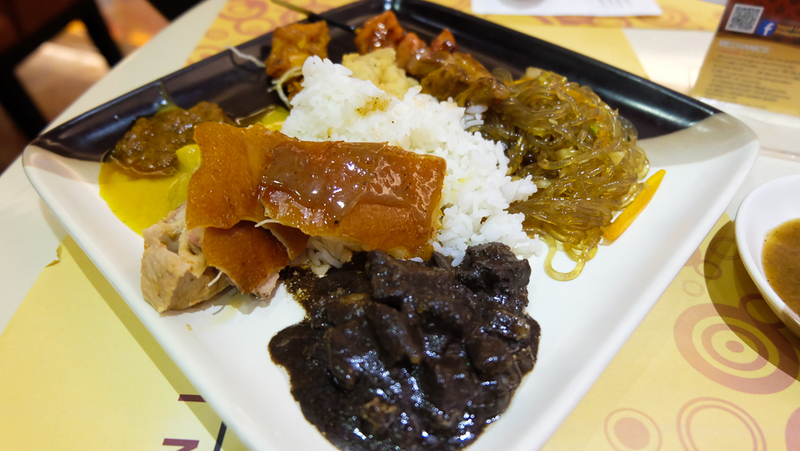 My favourites were the dinuguan, kare-kare, glass noodles, BBQ and spicy lechon. 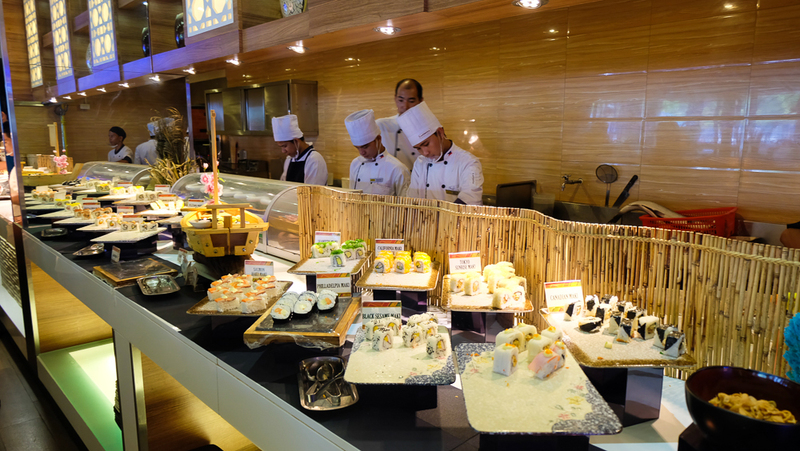 Also, don’t forget to try the spicy kuhol, tuna tendon and tempura- these are all must-try! 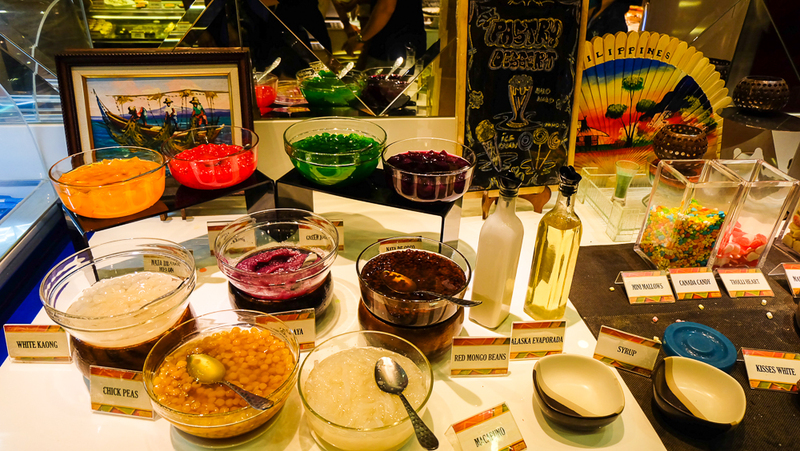 While having dessert, the cultural show started. 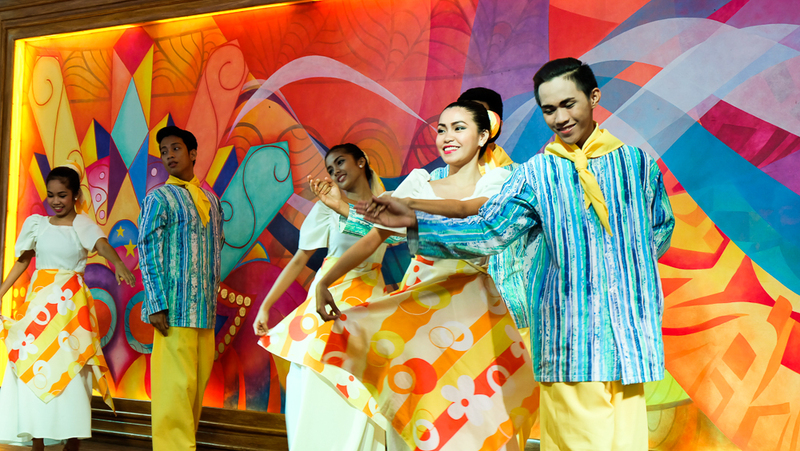 They even asked guests to try dancing the tinikling (bamboo dance). I would have volunteered, had I not been so full from all the food I ate. More reasons to come and celebrate at La Fiesta, whether it’s a post-Father’s Day treat or a just-because date with your family. 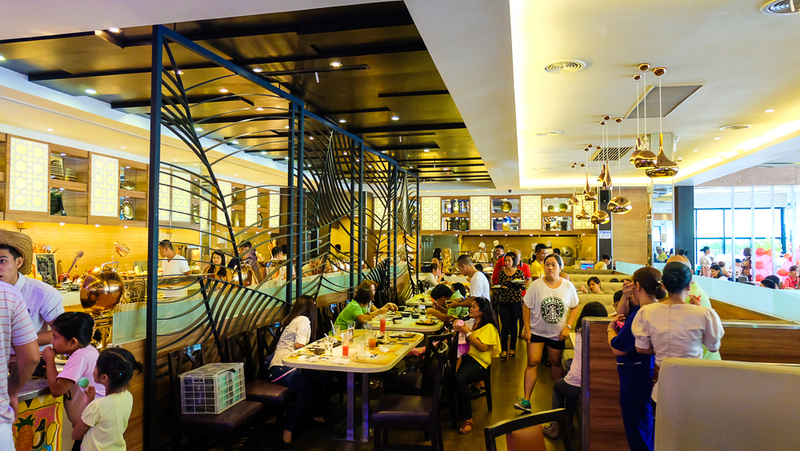 Apart from La Fiesta, there are also other buffet restaurants along SM by the Bay namely: Buffet 101, Banzai, Vikings, Charaptor and Four Seasons. We’re eager to try Four Season Hot Pot next time, hopefully we can come back and fully experience SM by The Bay with the lil GJGs. Did I mention they have a ferry ride that lets you cruise along Manila Bay? I heard that SM by the Bay will soon be the one and only port to and from Corregidor. We’ve never been to Corregidor so we’re looking forward to take a day tour and experience the rich historical culture of the island. 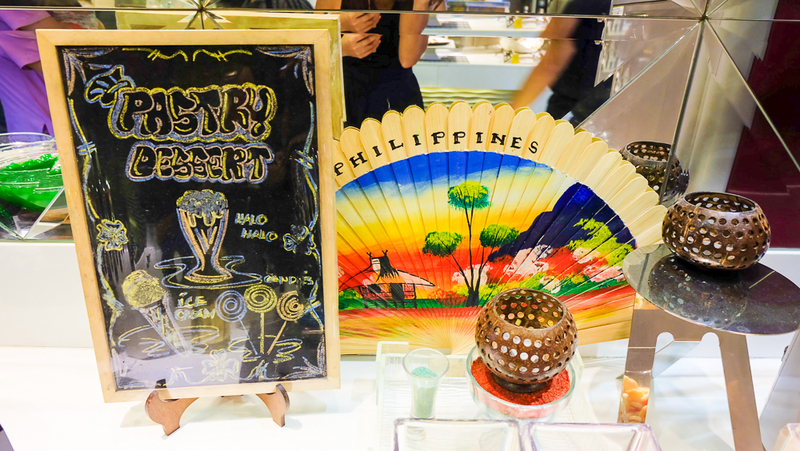 Exciting times are ahead for SM by the Bay, they’ve got more in store for us- validating how they are definitely a place for families to celebrate whether there’s a special occasion or just a weekend bonding with your loved ones. Eat & drink all you can! Seaside Blvd. MOA Complex, Pasay City.